"His fingers are at the service of a keen and musical mind and deep musical soul." 3/6/2019 The four-hand piano tour with Orion Weiss, piano continues on Friday in #Asheville! 2/27/2019 Washington Classical Review's Critic's Pick: On Tuesday, March 5 Orion Weiss, piano and I head to DC to perform at the The John F. Kennedy Center for the Performing Arts for our duo recital featuring pieces by David Lang, Schubert, and Brahms. 1/31/2019 Shai's performance at 92nd Street Y last spring, now online! 1/27/2019 Happy Birthday #Mozart! To celebrate we're listening to Shai's performance of the Jeunehomme Concerto. This Spring, Shai Makes performs Mozart's Piano Concerto 21 with the Toronto Symphony Orchestra (May 11 & 12) and Detroit Symphony Orchestra (June 27-30). 1/22/2019 Shriver Hall Concert Series is offering FREE tickets to Federal Government employees for Shai's upcoming #BridgetoBeethoven concert with Jennifer Koh on January 27th. 1/8/2019 Happy Birthday to composer David Lang! Shai performs his pieces "gravity" and "after gravity" on an upcoming piano-duo tour with Orion Weiss, piano. Performances Feb 21-March 23 in: #WashingtonDC at the The John F. Kennedy Center for the Performing Arts; #Portland, OR; West #PalmBeach, FL; #Asheville, NC; and #Bridgehampton, NY. 12/19/2018 Rehearsal Pics! Earlier this week, Shai performed Schumann's piano concerto with Conductor #AntonelloManacorda and the Musikalische Akademie des NTO Mannheim. Did you know that Clara Schumann also performed the [Robert] Schumann piano concerto in Mannheim in 1873 (in the same series nonetheless)? 12/17/2018 Happy Birthday (Baptism Day) #Beethoven! To celebrate this great composer, here's a video of a #BridgetoBeethoven concert Shai and Jennifer Koh gave at the Aspen Music Festival in 2015. Bridge to Beethoven explores the impact and significance Beethoven has had on a diverse group of composers and musicians. By pairing Beethoven’s ten sonatas for violin and piano with new works over four programs, this project seeks to ignite creative conversations around his music not only as a cornerstone of classical music but as a universal, culture-crossing source of inspiration. 12/11/2018 Thanks to all who came to last night's sold-out concert at Tarisio with Shai, Steven Isserlis and Laura Frautschi! 12/4/2018 In a rave review of Shai's concert in Berkeley last Sunday, San Francisco Chronicle's Joshua Kosman wrote: "Through a combination of canny programming and powerful, illuminating keyboard work, the young Israeli virtuoso shed new light — both direct and reflected — on [#Schubert]'s entire piano legacy." Full Review. 11/27/2018 Over the holiday weekend, Shai performed #Faure's Quartet in C minor with New York Philharmonic musicians. In a review of Saturday afternoon's concert, #TheAestheticAdventure writes that [the quartet] was played "extremely well." You can read the full review here. Up next, Shai performs at CSU Fresno (Nov 30), and UC Berkeley (Dec 2). 11/26/2018 Shai spoke with Sarah Cahill, host of KALW's #RevolutionsPerMinute last night, in advance of his Schubert performances at Hertz Hall in #Berkeley this coming Sunday, December 3, at 3:00 pm. You can listen to the full interview here, starting at 33:00. 11/14/2018 365 Things to Do in Birmingham... and one of them is hearing Shai perform #Schumann's Piano Concerto with the Alabama Symphony Orchestra this weekend! He performs at UAB Alys Stephens Center Jemison Concert Hall on Fri. @ 11am & 7pm and Sat. @ 7pm. 11/16/2018 #Schumann's only piano concerto ends with a rollercoaster of a final movement—full of color and rhythmic hijinks! Hear Shai perform it on YouTube with The Chamber Orchestra of Philadelphia, and hear him perform it tonight and tomorrow in #Birmingham with the Alabama Symphony Orchestra. 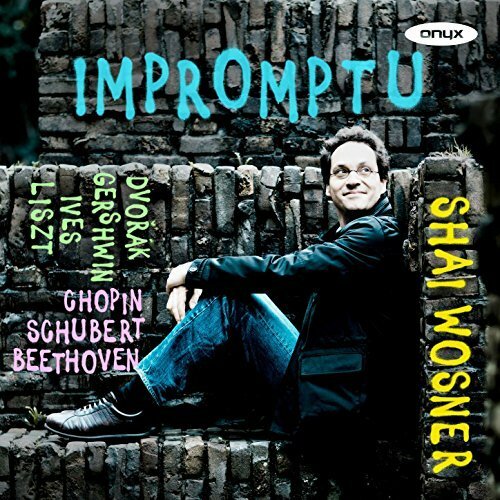 11/13/2018 Today on Performance Today, Shai opens Hour 2 with a performance of #Schubert's Moments musicaux No. 4, recorded in recital in #StPaul presented by the Frederic Chopin Society, which just presented him in another recital over the weekend. 11/12/2018 Before shifting to the #Schumann concerto with the Alabama Symphony Orchestra this Fri. & Sat., a couple memories from #StPaul, where Shai gave a recital yesterday presented by the Frederic Chopin Society. 11/9/2018 MinnPost looks ahead to Sunday in #StPaul: "[Shai is] that rare classical pianist who gets improvisation – the risk and thrill and freedom of it. At this solo recital, he’ll present works by composers who captured the spirit of improvisation in their written music: #Schubert, #Chopin, #Gershwin, and #Ives. The selections he’ll play are on his latest recording, #Impromptu, which Gramophone called “a veritable feast of spontaneity.” A renowned Schubert interpreter, Wosner will conclude with the Sonata in G Major." 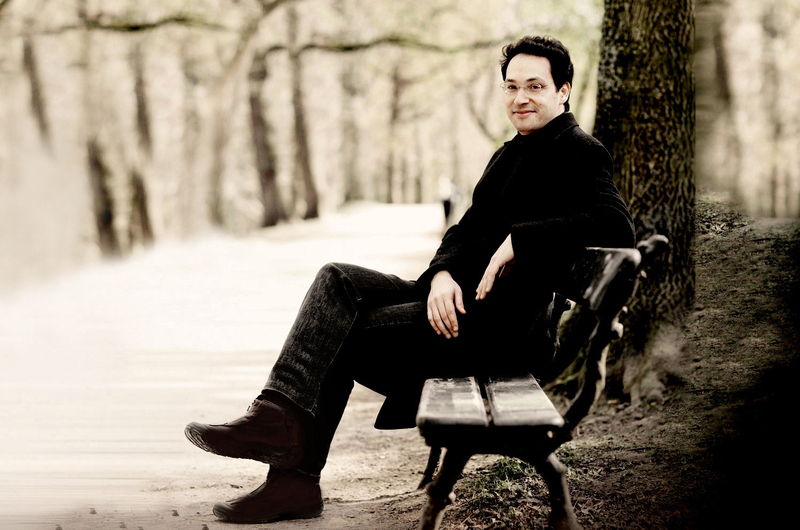 Hear him at Mairs Concert Hall presented by the Frederic Chopin Society. 10/26/2018 BroadwayWorld praises Shai's "clean articulation of rapid runs" in #Mozart's Piano Quartet K. 493, and his "finesse" in handling the "fiendishly difficult piano part" in #Bolcom's Quintet No. 1—performed with the Emerson String Quartet on Sunday, presented by The Chamber Music Society of Lincoln Center. 10/23/2018 Reviewing Shai and the Emerson String Quartet at Lincoln Center on Sunday, New York Classical Review says: "Wosner’s touch led the way, sitting at a precise and ideal spot where his superb articulation met the sonic possibilities of the modern piano, a virtual definition of “sparkling.”"
10/22/2018 “In chamber music, I would say there is a very intimate connection that you have with the artist, in a way that you don’t have if you go to an arena for a rock concert,” said Shai to The Red & Black in advance of tonight's recital with the Emerson String Quartet at Hugh Hodgson Concert Hall in Athens, GA.
10/4/2018 Tomorrow: Shai heads to upstate NY to perform #Schumann's Piano Concerto in A minor with Symphoria. Also on the program is #Dukas "The Sorcerer's Apprentice" and #Stravinsky's "Petrushka", lead by Lawrence Loh, conductor. For more info, click here. 10/1/2018 "Shai Wosner is an exciting and profound musician," says Symphoria Music Director Lawrence Loh, conductor. "I came to know him a when we shared in an electric performance of #Beethoven's Third Piano Concerto, and I am eager to hear what he brings to the #Schumann Piano Concerto with our fine orchestra!" Shai joins Symphoria this Friday at the Crouse-Hinds Concert Theater, click here for more info. 9/26/2018 Happy Birthday George Gershwin! In celebration of this New York icon, here's a little tribute to the man, the music, and the neighborhood from Shai's 2017 album "Impromptu." 9/8/2018 In about 20 minutes, Shai will be interviewed live on medici.tv at the The Leeds International Piano Competition. Click the link below to watch out for him! 8/27/2018 "[Wosner] showed a soloist’s forwardness when appropriate, but he also adapted comfortably to the ideals of ensemble-playing, minimizing the gaps inherent in how sounds are created on the piano as compared to on bowed strings, discreetly adding to the momentum through niceties of rhythmic shading," writes The Santa Fe New Mexican on Shai's chamber performance at the Santa Fe Chamber Music Festival last week. "[Violinist Martin] Beaver, [cellist Eric] Kim, and Wosner are not a self-standing, ongoing ensemble, but their performance exceeded what one usually hears when individual players happen to intersect on a given concert night at the festival." 8/24/2018 On the eve of Leonard Bernstein's 100th birthday, Shai and other musicians reflect on their experiences with the legendary composer and conductor. #BernsteinAt100 "It was the Vienna Philharmonic's historic visit to Israel. Leonard Bernstein was conducting Mahler’s 6th Symphony. I was a 12-year-old Mahler nut, sitting with the score in a state of total rapture. This was like the second coming of Gustav, if not Jesus," said Shai to the Los Angeles Times. "Naturally, I snuck backstage, to get the Mahler Messiah's autograph. I got there so fast he hadn't even come off stage yet. I was waiting anxiously when I suddenly heard a "shalom" in a deep, raspy voice from around the corner..."
8/21/2018 Watch Shai performing Saint-Saens's "Carnival of Animals" with musicians of the La Jolla Music Society. The video was taken at the opening concert of the Society's #Summerfest earlier this month. 8/17/2018 Santa Fe is brimming with Shakespeare this week, and Shai's performance at the Santa Fe Chamber Music Festival this Sunday is no exception -- he'll be joining violinist Martin Beaver and cellist Eric Kim, to play #Beethoven’s Piano Trio in D major (Op. 70, No. 1.) The piece is affectionately known as "The Ghost Trio" for its association with the scene of the first appearance of the ghost in Hamlet, which was a comparison originally made by the composer's pupil and long-time friend Carl Czerny. For more of the fascinating history of Beethoven and his affinity for Shakespeare, check out this article in The Santa Fe New Mexican. 8/15/2018 Mark your calendars: Shai is coming to North Carolina in March 2019 with Orion Weiss, piano. Together they perform works for four hands and two pianos, including Schubert's "Grand Duo" and Brahms' Sonata in F Minor for Two Pianos. 8/7/2018 Last Friday, Shai performed #Bartok's "Contrasts," a piece written for clarinetist Benny Goodman, at the La Jolla Music Society #Summerfest. Here's what BroadwayWorld had to say about the performance: "Anthony McGill, principle clarinetist for the New York Philharmonic, violinist Paul Huang and pianist Shai Wosner supplied an appropriately jazzy interpretation in a witty virtuosic romp that might have made Benny Goodman a touch jealous." Tonight he performs again at LJMS, this time with pianist Joyce Yang playing #Rachmaninoff's Symphonic Dances, Op. 45 for Two Pianos. 8/6/2018 Tomorrow: Shai takes the stage once again at the La Jolla Music Society, this time joining pianist Joyce Yang in playing #Rachmaninoff's Symphonic Dances, Op. 45 for Two Pianos. 8/2/2018 Tomorrow: Shai performs in the opening concert of La Jolla Music Society's #SummerFest playing #Bartók's "Contrasts" and Saint-Saëns's "Carnival of Animals." 7/30/2018 "[My] greatest memories [from childhood] are from listening to recordings. When I discovered the liner notes in Hebrew of one of these great composer’s collections, I was immediately gripped," said Shai in a recent interview with GetClassical. "Reading about the composers and their pieces gave me an opening into the culture around them ... Like through a time machine I was transported into the world of music, and I was craving more." 7/25/2018 Next week: Shai performs in the opening concert of La Jolla Music Society's #SummerFest playing #Bartók's "Contrasts" and Saint-Saëns's "Carnival of Animals" on Friday, 8/3. The following Tuesday (8/7), he joins pianist Joyce Yang for a performance of #Rachmaninoff's "Symphonic Dances" for two pianos.